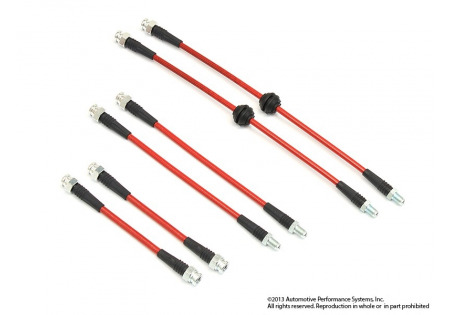 The Sport Brake Line Kit is a great addition to braking performance. 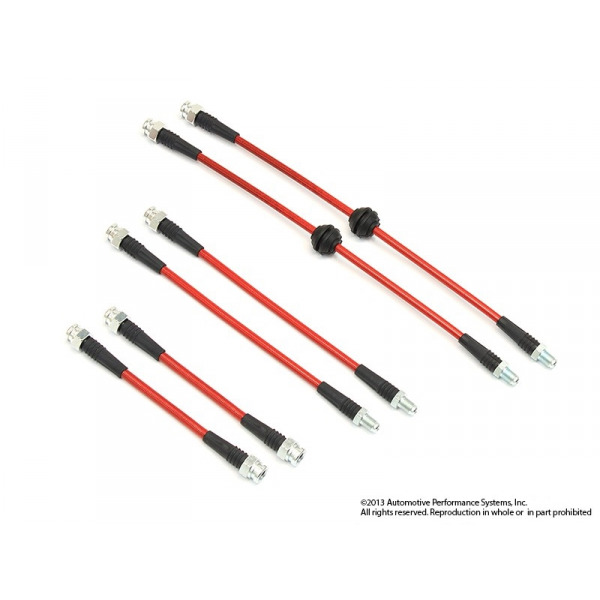 They improve your braking performance for competition or every-day driving. Replacing the OE rubber hose with the stainless steel braided brake line reduces brake line expansion for more positive braking. The brake line is an extruded PTFE core with a stainless steel wire braided cover and permanently crimped-on zinc plated fittings. For additional protection the stainless steel braid has a red PVC outer protection cover to protect against abrasion and corrosion. The lines are vehicle specific and DOT certified.